Two soaring love songs from DJ Rogers, "Love Brought Me Back" backed by "Love You Forever", remastered and reissued on South Street’s new disco reissue arm. With original’s trading hands for upwards of £70 it’s high time a reissue dropped of these classic cuts. "Love Brought Me Back" sweeps in first as gentle chimes and whirling winds blend with a delicate bassline and staccato strings that open up to behold Rogers’ powerful prowess on the mic. Influenced and honed in the church, there’s a spirituality to the delivery that few can match. An honesty and warmth resound in the arrangement with a definite dose of funk making this a sure-fire ‘70s soul hit that was big on the disco dancefloors. On the B side the second of Rogers’ sweet serenades, "Love You Forever" marries clavinet chords and plucked live bass riffs with tender female harmonies, providing a perfect accompaniment to Roger’s soothing tones. The ultimate end of the set song and a way to win over any hearts and minds that need to be swayed. 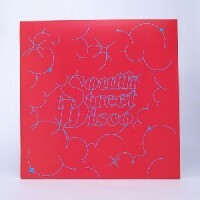 Two essential treasures fitting of the first reissue on South Street Disco!